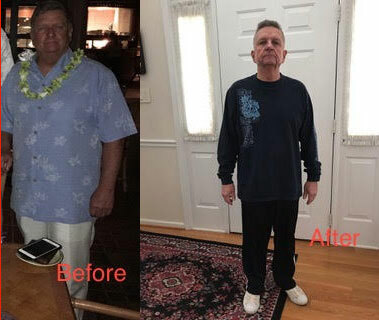 I lost 61 pounds over a 5 month period participating in Dr. Bianchi’s weight loss program. I can honestly say that during the entire time I had plenty of energy, slept well and was never hungry. Plus, I no longer require medication for high blood pressure. During the weight loss. Doctor Bianchi provided easy to understand, straight forward, and uniquely customized follow up and guidance. I received similar guidance as I transition into the maintenance phase. I’m totally satisfied with the program, glad I took advantage of it and by applying my learnings strongly feel that I will maintain my current weight.